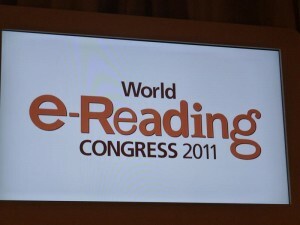 LONDON: There were some choice phrases on offer at the World e-Reading Congress, held in London this week. “Apple is a walled garden; Android is an open garden – but it has a lot of weeds in it,” was one, from Richard Stephenson, CEO of Yudu Media, the free library of digital content, discussing the relative benefits of the two platforms. “You need targeted acts of digital generosity,” was another, from Cliff Conneighton, Chief Strategy Officer of Elastic Path Software, talking about publishers now being in the business of “selling entitlement to content”. The Congress, held in Kensington, is the latest digital conference to pop up in what is a mini-industry all its own (and one that is not without petty squabbling: local trade mag The Bookseller was refused press passes because it runs a rival conference; its journalists got in anyway, under different identities, one masquerading as a publisher…). It saw speaker after speaker extol the virtue of the iPad 2, some of them even using the device for the visuals on their presentation. A glance around the audience of executives from the digital departments of European newspapers and from digital companies in Europe and the US saw many not actually looking at the speakers, but instead heads down in a kind of ritualistic poking, tapping and swiping of the same devices. It’s long past the stage when such inattention is deemed rude; it’s just an example of the multi-tasking that so many speakers mentioned. Two of the UK’s big hitters -– Victoria Barnsley, CEO at HarperCollins, and Ian Hudson, Deputy CEO at Random House –- kicked off the first day and were both optimistic, each recognizing, wouldn’t you know it, the value of publishers. Barnsley was encouraged that self-published authors like Amanda Hocking eventually saw the light and decided that a conventional publisher was the way forward (even if that publisher wasn’t HarperCollins in the end), while Hudson maintained there was never “a more exciting and necessary time to be a publisher…we help readers find and fall in love with books in what is an increasingly reader-centric marketplace”. If Apple dominates now, it may not do so for long. 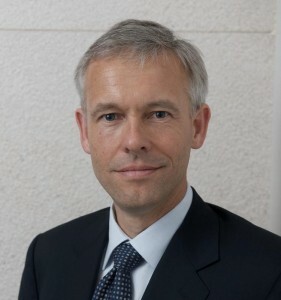 Stefan Jenzowsky, Vice President Media of Siemens, estimated that the next two years will see up to 50 tablets come on to the market. Amazon is also believed to be developing its own tablet device, as well as a color Kindle, all of which could blow a strong wind through Apple’s orchard. The overriding message of the first day was one that some might feel is ages old: the consumer is king. Yet perhaps in the past publishers have behaved as if they were king, running a serfdom. “We know what’s best for you,” Paul Keenan, CEO of Bauer Media, a multi-platform media group involved in magazines and radio, said that it was of paramount importance to “focus on the user, to let consumers converse, to start a conversation. Consumers are no longer content to be broadcast at –- they want to produce content themselves. Publishers should embrace this appetite for content.” Surely this is one of the reasons Facebook is so successful with teenagers: the company has provided a template, effectively a ‘magazine’ which it is so easy for readers to fill. Indeed, Facebook was almost the elephant in the room at the conference. It hasn’t played its card yet, but with 500 million users it is potentially a huge force and is surely a name to be placed alongside Google and Apple. For some in the audience (those not at the London Book Fair’s own Digital Conference) it was perhaps the first time they had heard about Stardoll.com, an interactive doll-dressing site that is the second most popular site for 7-12-year-old girls. 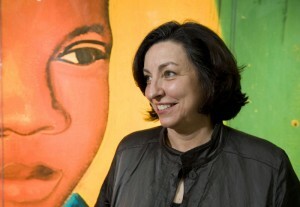 Random House began a daily online story on the site called Mortal Kiss. It received 17m page views. “As a result we’re now publishing the physical book -– and there’s a film coming too,” said Hudson. So, a day that was all about going from print to digital also included an example of digital leading to print. That’s why the books business is still such a compelling place.